Every year, HYPE organizes several Regional Forums dedicated to Innovation Managers. These events give them an opportunity to gather-together to learn from each others' experiences and share their challenges, in order to find answers and reach their goals for their innovation programs, and extend their fellow professionals networks. In August, we announced our coming Forum in San Diego. This will be the last Regional Forum of the year for Innovation Managers, it will take place from the 1st to the 3rd of November. 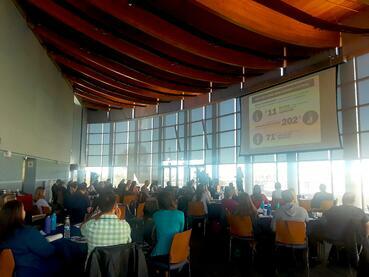 UCSD is hosting the event at their fantastic Seaside Scripps Forum for the second time. A great location facing the ocean to inspire the participants even more. To innovate our forum from last year, it has been extended on 3 days. The conference part will start on Nov.1st in the afternoon, and will keep on going on the 2nd day with clients & experts' presentations and workshops. Topics like "Developing a Balanced Campaign Portfolio", "The Four Lenses of Innovation", "Applying Innovation Management Tools to Continuous Improvement", and "Driving Up Commenting Levels" will be addressed. The complete agenda is available on the event page at https://i.hypeinnovation.com/events/ucsd2017. The last day is an exclusivity from the US Forum as no other Regional Forum proposes this for now. Since last year, UCSD is organizing for us a special Labs Tour to discover Innovation on the campus. This year, we have the privilege to visit the Qualcomm Institute and the Drone Lab. The tour includes the visit of the Auditorium, demonstrations of VROOM media commons wall display system, the visit of the 3D Immersive Visualization Lab and the Drone Lab. We would like to thank Robert Neuhard, Melani Roberson and Lillian Perry from UCSD for offering again to host the event and for their great support in organizing the Forum. Our Regional Forums are always hosted by our clients as we found that it’s more interesting for people to attend, and it helps to create the relaxed, informal atmosphere that’s important for collaboration. So if you are one of our clients, and you would like to welcome like-minded professionals to your offices, and host a constructive and valuable day, don't hesitate to contact us. 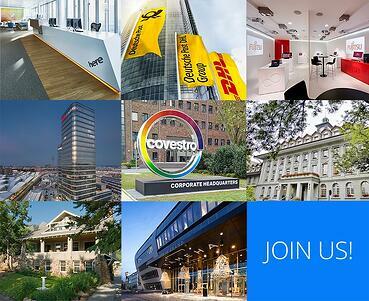 35 innovation practitioners will attend the Forum next week and the event is now full. However, if you are willing to take part in another Regional Forum in 2018, or even our annual conference in Bonn, you should take a look at our events page.